TYPE 5 is the first mechanical watch to be perfectly readable underwater regardless of the viewing angle. UNLOCK the GENTLEMAN DIVER in you. Rather than protecting the TYPE 5 against the pressure of water depth by using a heavy over-sized case and thick glasses, we used our oil technology. Since the laws of hydraulics state that a liquid cannot be compressed, the oil will compensate for underwater pressure. TYPE 5 benefits therefore from a super lightweight titanium construction. Moreover there are other advantages related to the oil technology. The components are constantly lubricated and since they are suspended in liquid, they are lighter and hence require less power to move, which in turn improves accurate time-keeping. The remarkable capabilities of TYPE 5 do not sacrifice the pleasures of a traditional fine-watchmaking mechanism. The watch is able to withstand extreme conditions - but to do so with the modernist refinement characteristics of RESSENCE, right down to its seamlessly integrated uni-directional bezel. It takes 324 components and RESSENCE’s state-of-the-art innovations for the TYPE 5 to express Time in such a pure and natural way. From our magnetic transmission to the bellow system, explore on our innovation page the technologies that are embedded. TYPE 5 has no crown - rather, the case-back is used both for winding and setting the time of the watch. However, to ensure maximum water-resistance, a new case-back has been specially developed for the TYPE 5 . Dubbed the Ressence Compression Lock System, or RCLS , it has a system for the locking and compression of the gasket, with two positions, ‘lock’ and ‘set’. The organic design of the TYPE 5 takes its inspiration from nature. Evolution has given sea turtles a distinct aqua-dynamic shape to propel themselves easily through water - so what better shape for an amphibious watch? Strapped onto your thermal suit, the TYPE 5 will conform to your wrist to guarantee optimum hydrodynamic properties. We believe that displaying the time is essential to a watch. 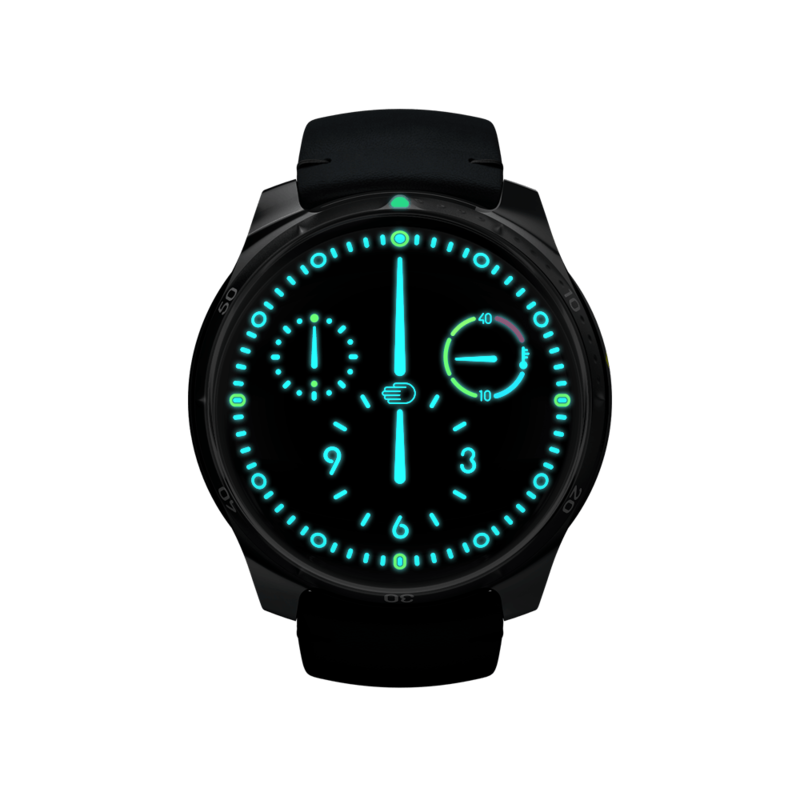 The readability of the TYPE 5 is therefore as simple and efficient during the day as during the night thanks to extra strong blue and green Superluminova. The TYPE 5 has been designed to be wearable every day, both in and out of the water. The TYPE 5 is made 100% from grade 5 titanium, ensuring that it is lightweight - a mere 87grams - and extremely comfortable to wear. The result is both more ergonomic and considerably lighter than any traditional diver’s watch. The patented ROCS 5 is driven by the minute axle of a customized self-winding 2824/2 base calibre. 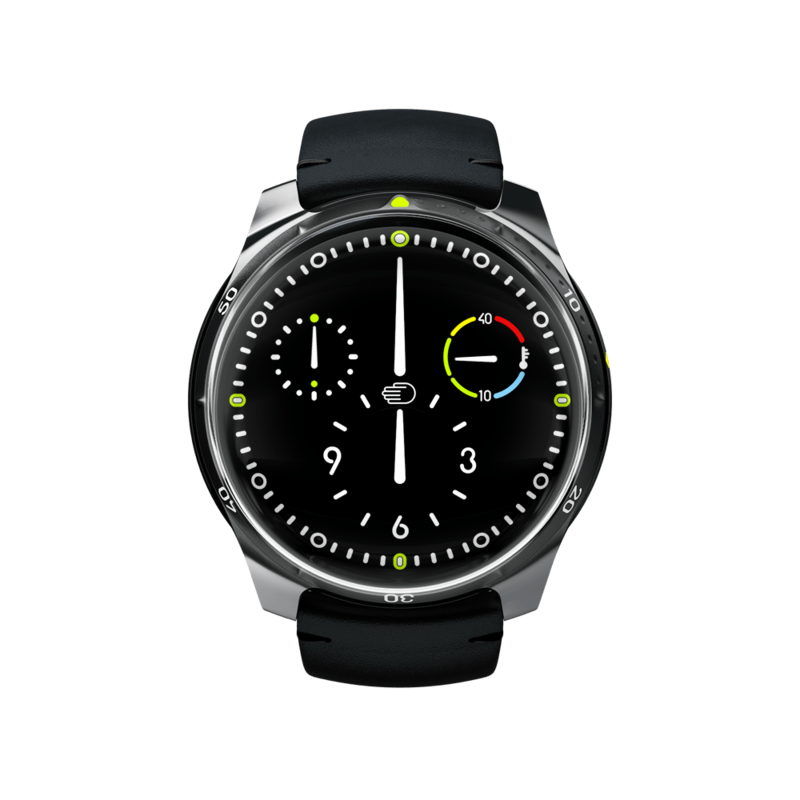 Our "Ressence Orbital Convex System" is a state of the art horological complication module composed of 142 parts including the main and sub discs. The result is a 3 dimensional dial entirely in motion and ever changing. TYPE 5 BB "Black Black"